A day trip to Lake Nakuru National park offers a well worth while wildlife experience. The park boasts a large population of Rhino, Lion, Giraffe, Buffalo, Leopard, Water buck as well as many other species of game. In addition the highlight of Lake Nakuru is its mass of Greater and Lessor Flamingo’s which can be found feeding in the shallows of the lake. Also one of the most promising park to see rhino and leopard This is a daily excursion safari. Lake Nakuru, a small (it varies from 5 to 30 square kilometers) shallow alkaline lake on the edge of the town of Nakuru lies about 160 kilometers north of Nairobi. 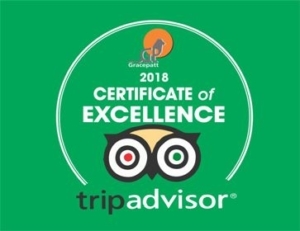 It can therefore be visited in a day tour from the capital or more likely as part of a circuit taking in the Masai Mara or Lake Baringo and east to Samburu. 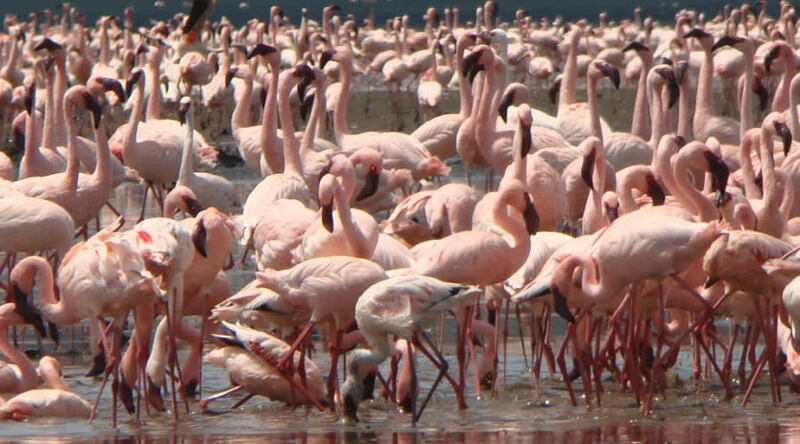 The lake is world famous as the location of the greatest bird spectacle on earth – myriads of fuschia pink flamingoes whose numbers are legion, often more than a million maybe two. The park now has more than 25 rhinos, one of the largest concentrations in the country, so the chances of spotting these survivors are good. There are also a number of Rothschild’s giraffe, again translocated for safety from western Kenya beginning in 1977. Waterbuck are very common and both the Kenya species are found here. Among the predators are lion and leopard, the latter being seen much more frequently in recent times.